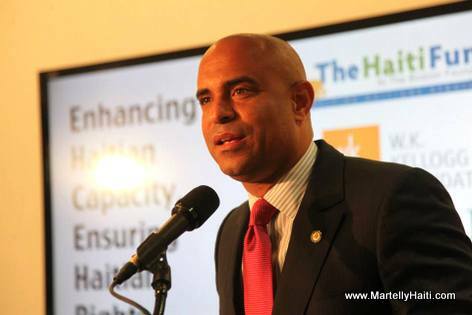 Prime Minister, Laurent Lamothe left Haiti Wednesday, 04 June 2014, to the city of Boston Massachusetts (USA) accompanied by a delegation for a 48-hours visit to explore new areas of cooperation. Prime Minister Lamothe had discussions with officials Harvard University and MIT (Massachusetts Institute of Technology). Laurent Lamothe also participated in a round-table discussion of the famous professor of medical anthropology in the Department of Social Medicine at Harvard University Dr. Paul Farmer, around health care and community pharmacies in Haiti. In addition, the head of government met with members of the Haitian community in Boston, to inquire about their situation and show their support and solidarity of the Haitian state. The delegation also included, among others, the Minister of Public Health Dr. Florence Duperval Guillaume, the Minister of National Education and Vocational Training, Mr Nesmy Manigat, and the Minister of Social Affairs and Labour Mr Charles Jean Jacques.